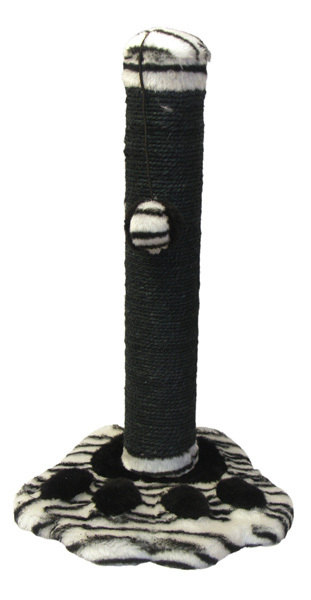 The Lille Black & White Scratching Post from Cat Walk Collection combines a soft plush base and top with a tough post which is resilient and will not pull like carpets or traditional plush posts. The base is produced in a paw shaped design. There are currently no questions for Cat Walk Collection Lille Plush Black/White Scratching Post - be the first to ask one!